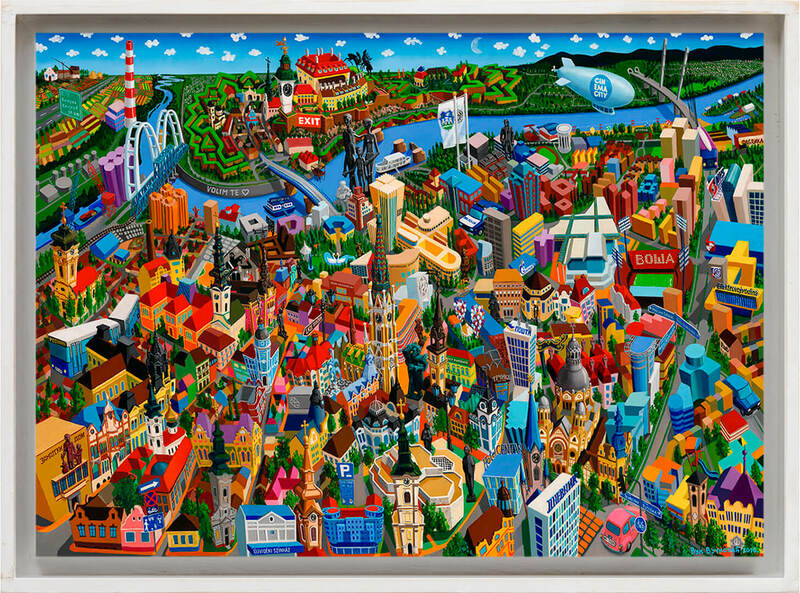 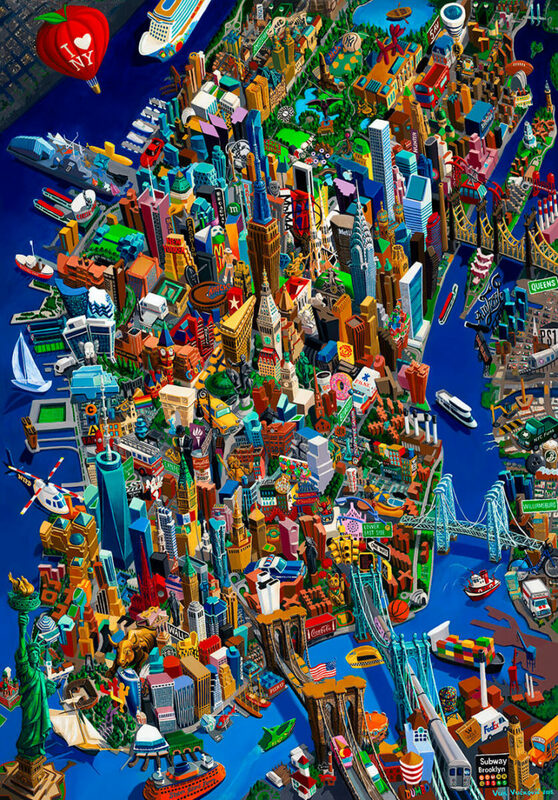 Vuk spends 6 months working on each painting. 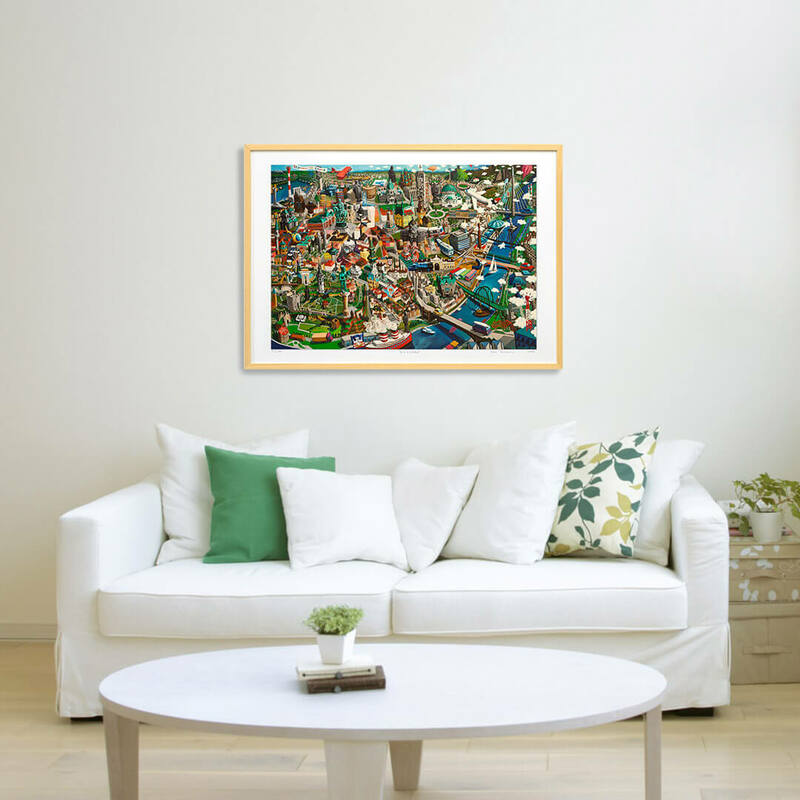 Using the latest version of the Canon professional plotter PRO4000, Wolf Art produces gallery quality art prints based on Vuk’s paintings. 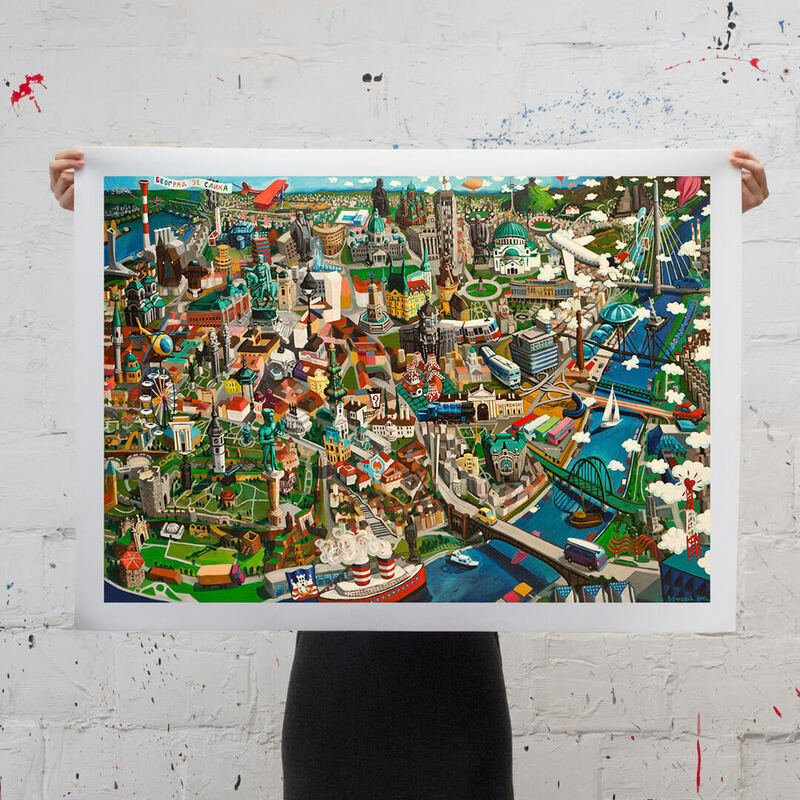 The prints are created on acid free, 100% cotton Canon and Hahnemühle materials. 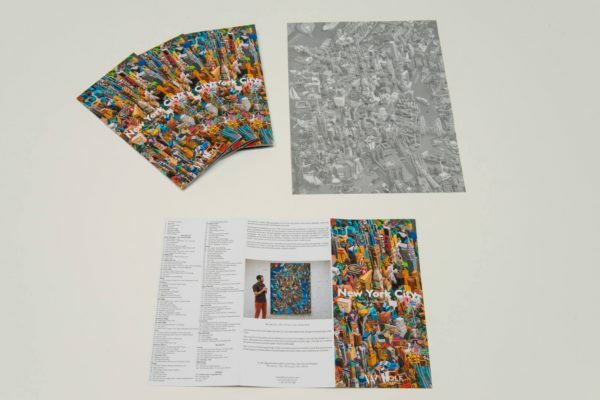 These premium quality art materials are especially made for the purpose of fine art printing. 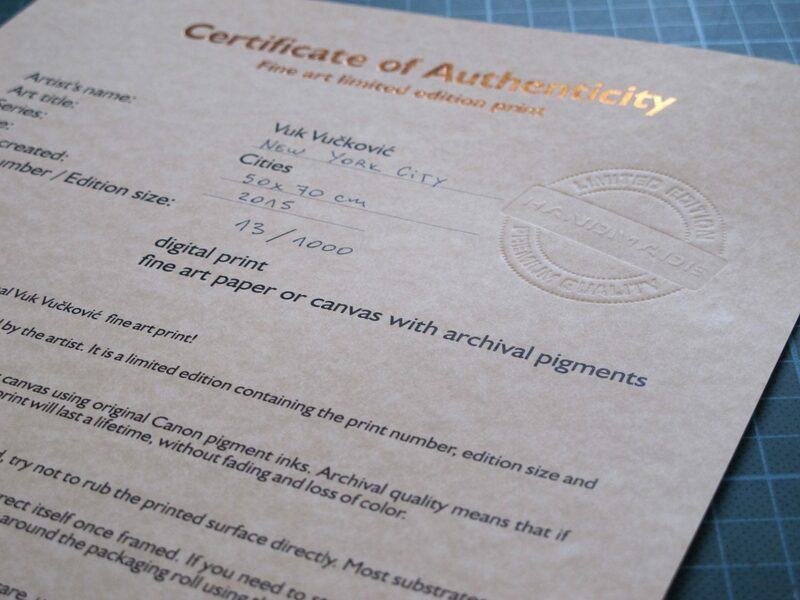 Using them in combination with original Canon LUCIA PRO pigment inks, ensures that your print is of archival quality. Wolf Art prints are made in two categories depending on the size and materials used. 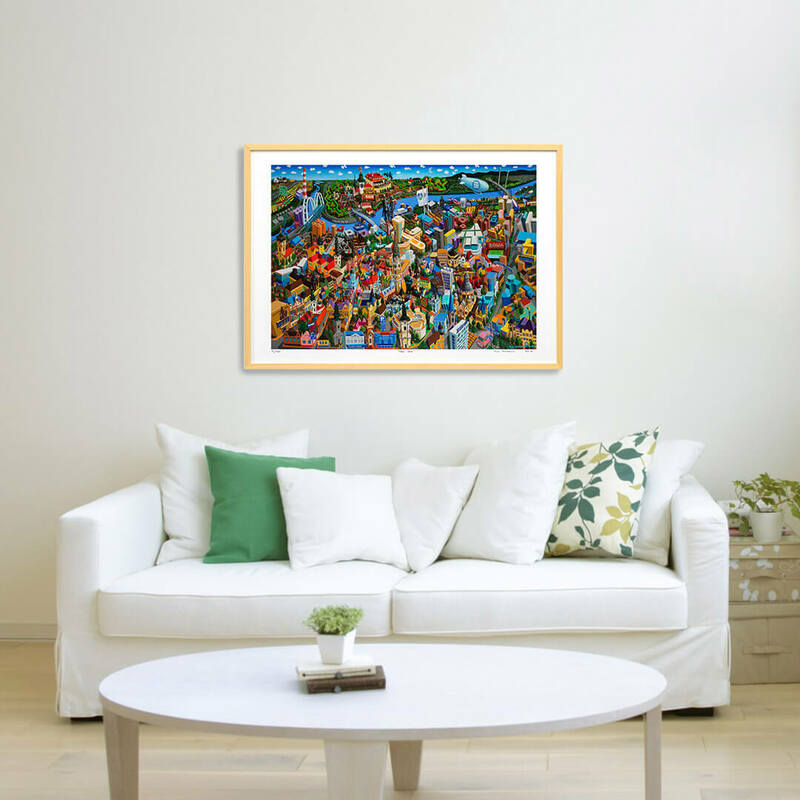 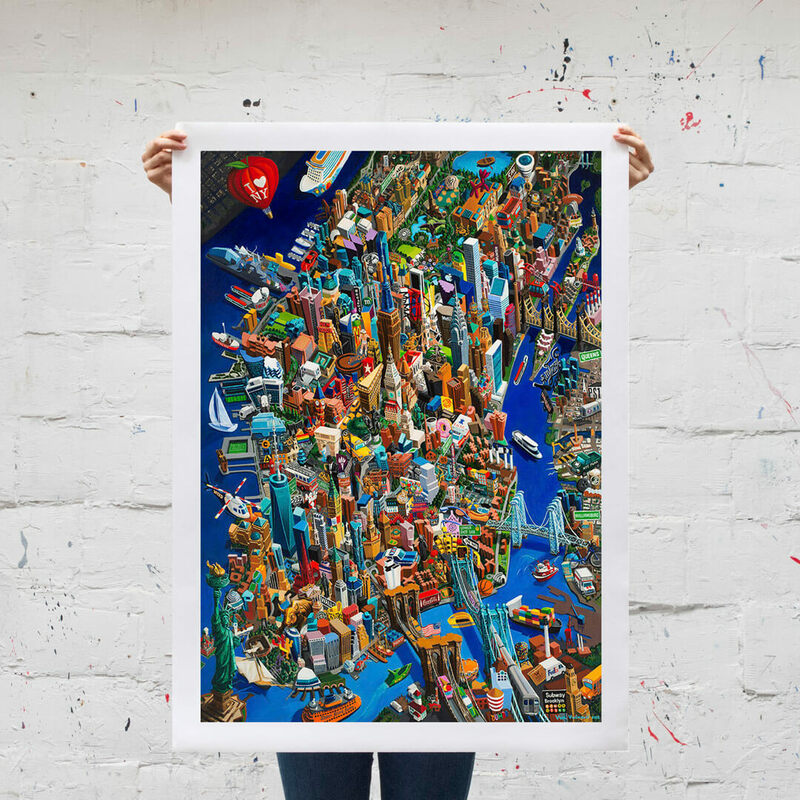 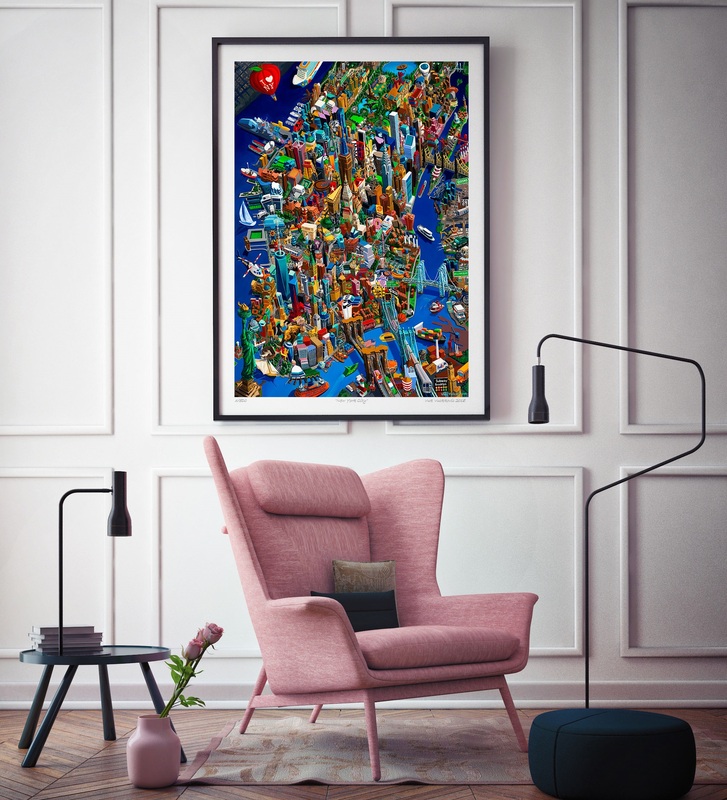 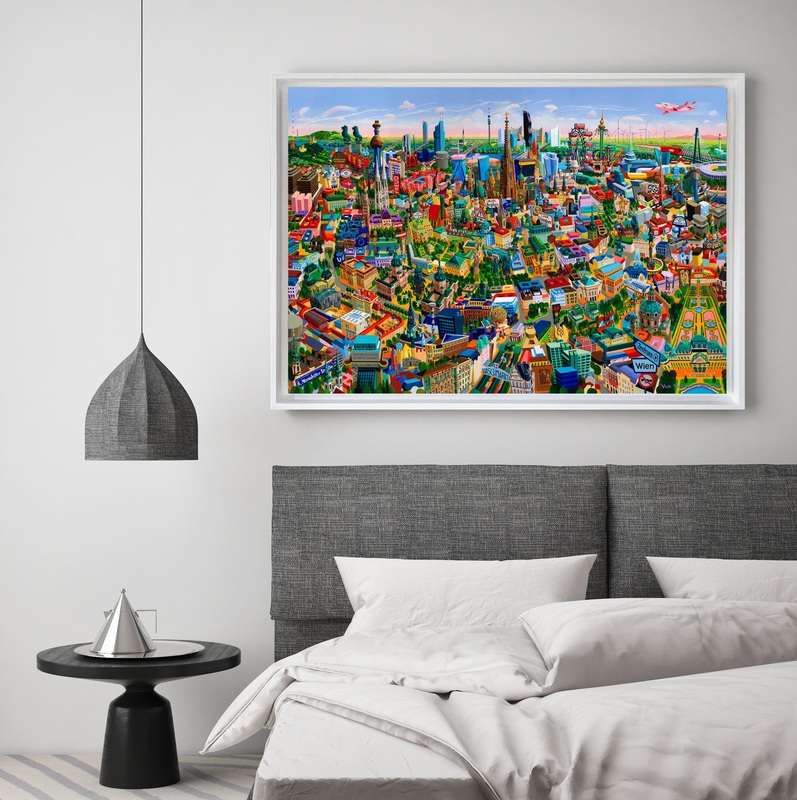 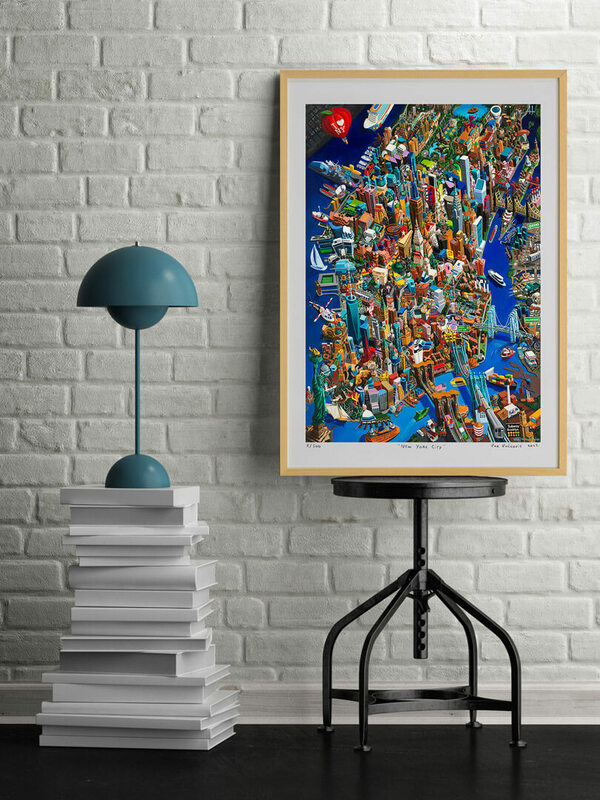 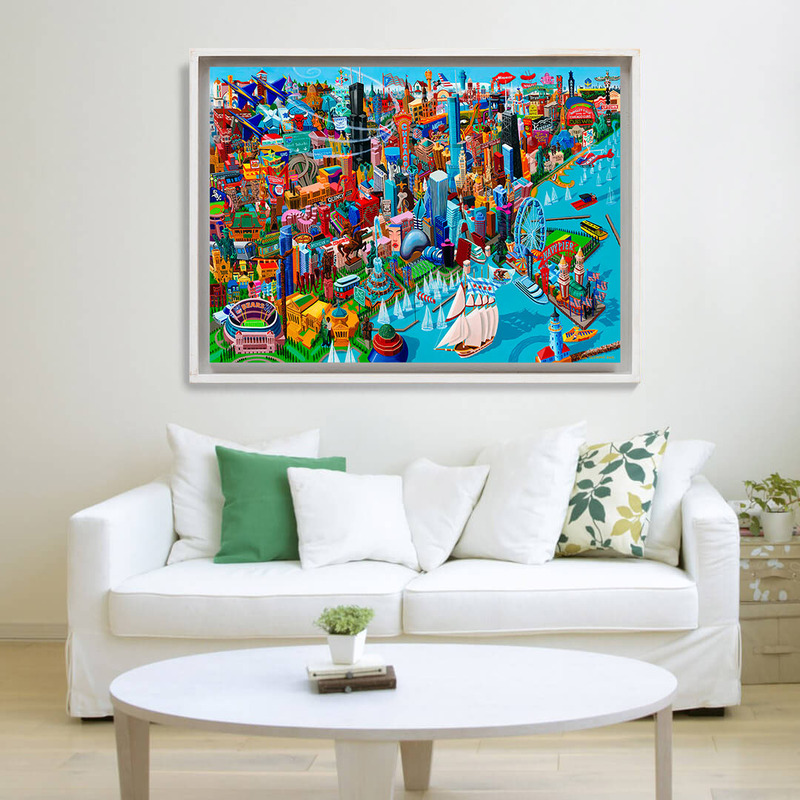 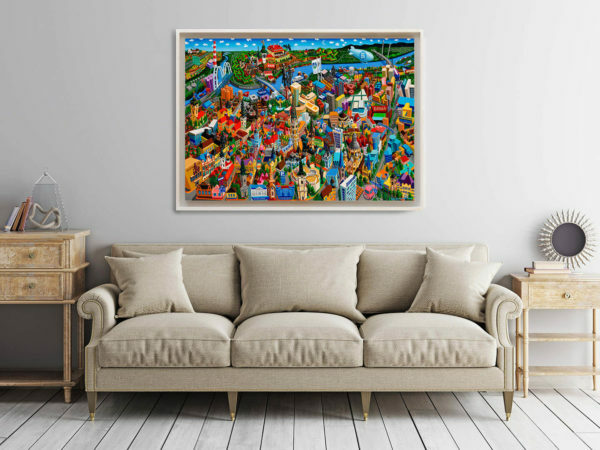 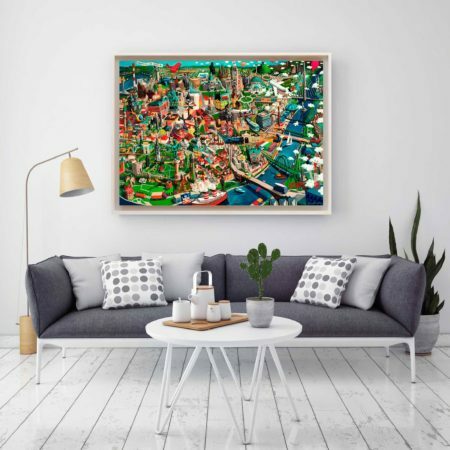 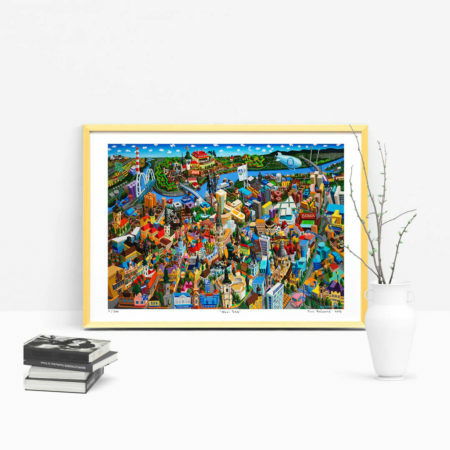 LIMITED EDITION – For art lovers who like Vuk’s paintings, we offer signed digital prints in limited editions. 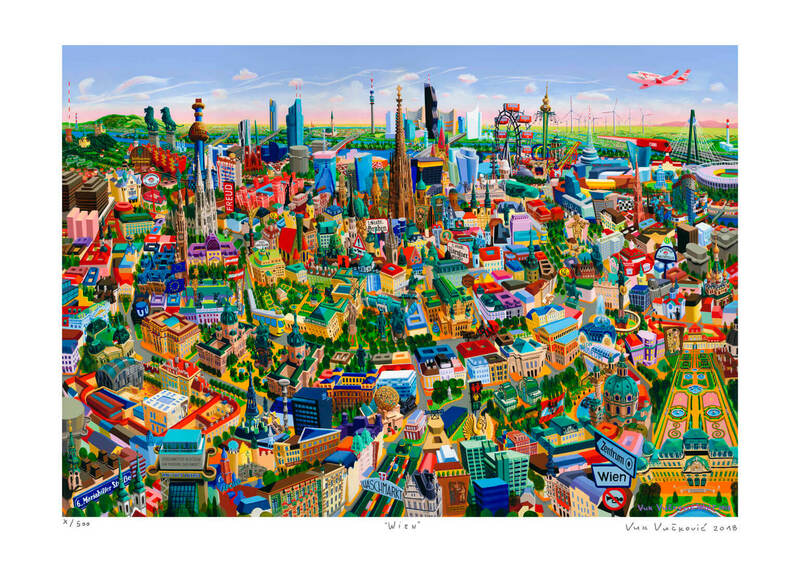 These prints are made on acid free, Canon and Hahnemühle materials in three sizes: 70 x 50 cm, 100 x 70 cm and 140 x 100 cm. 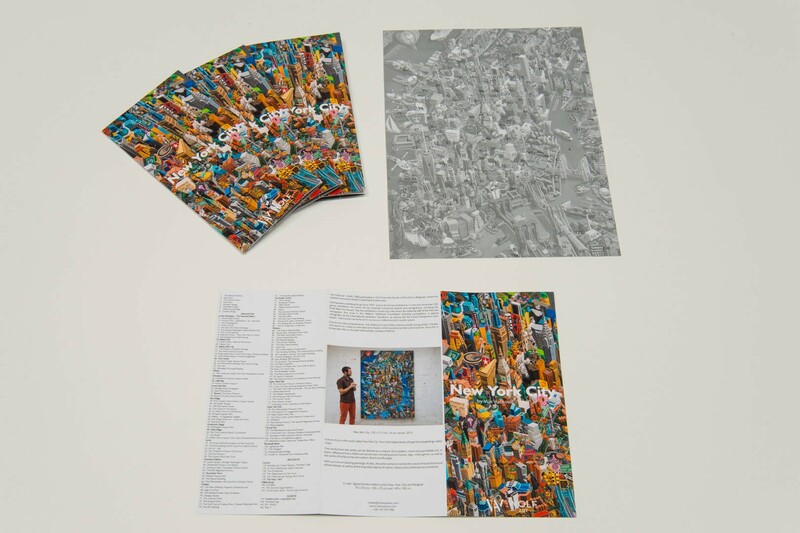 Each print of this edition contains the artist’s personal signature. 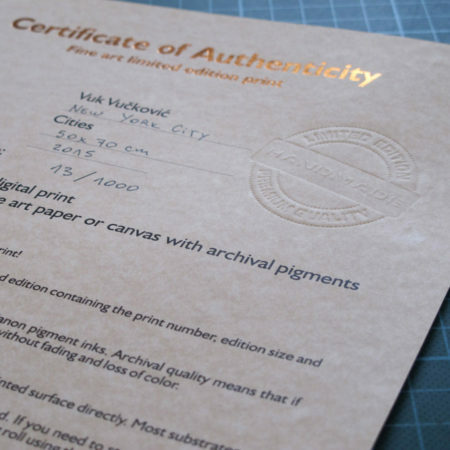 In addition, a certificate of authenticity is provided as a guarantee of originality and quality. 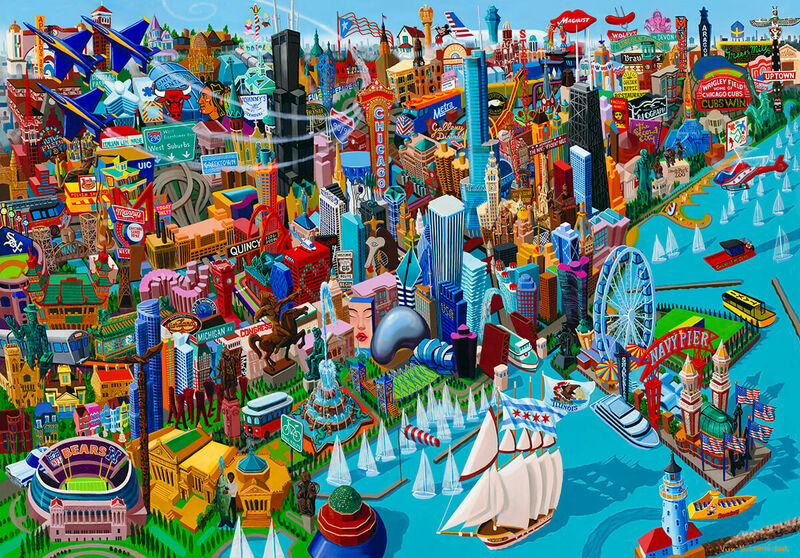 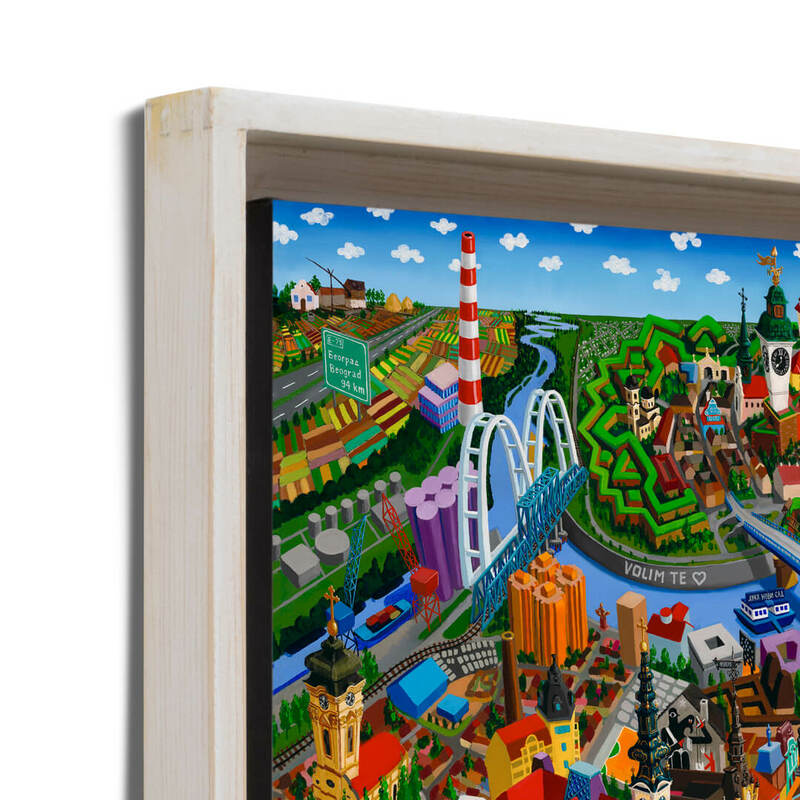 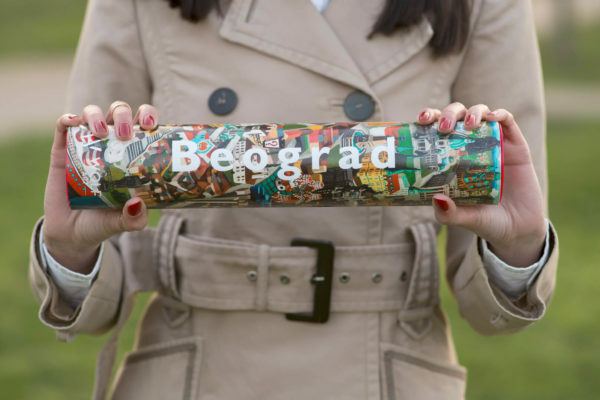 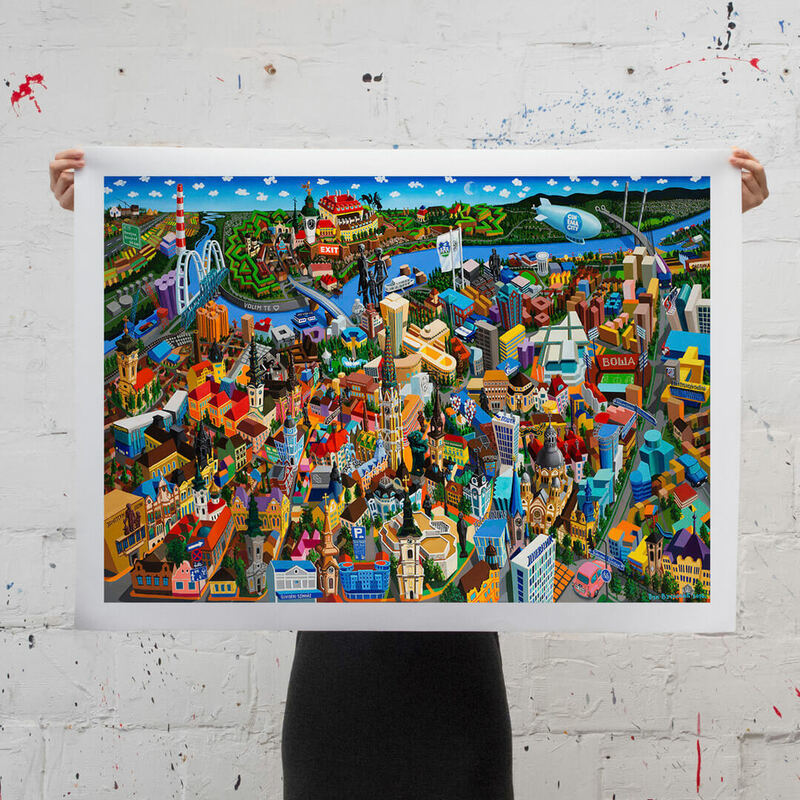 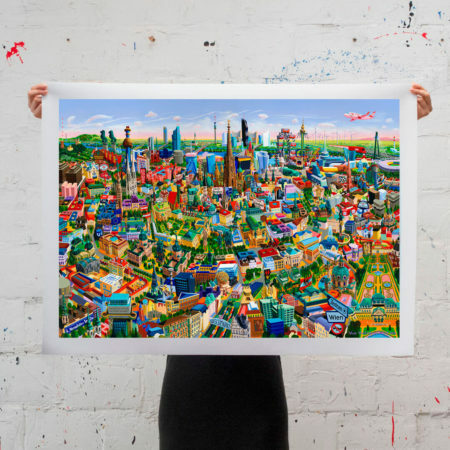 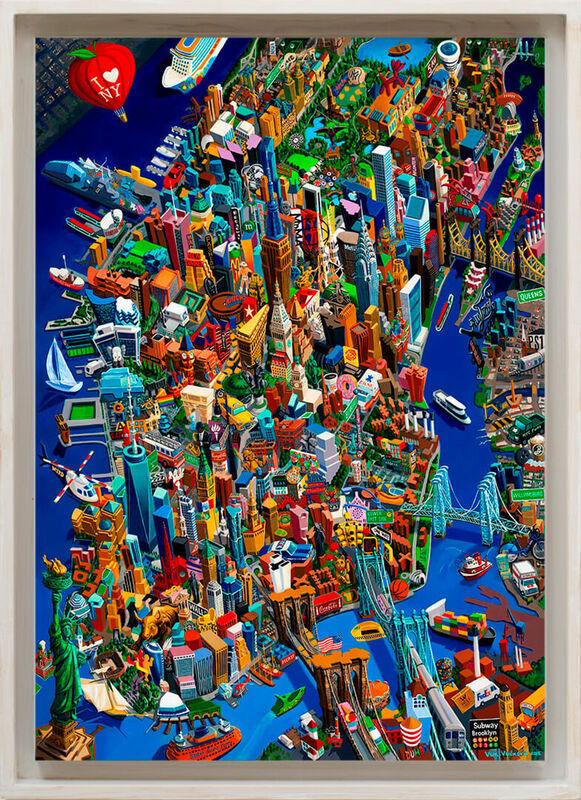 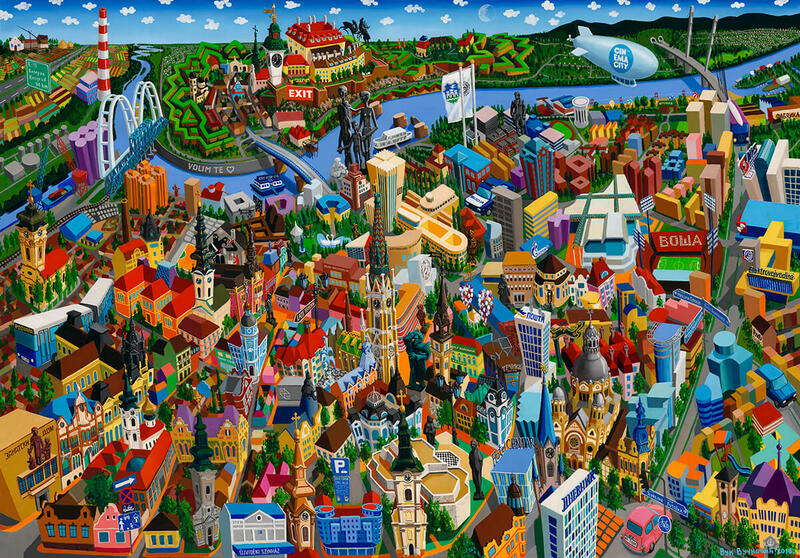 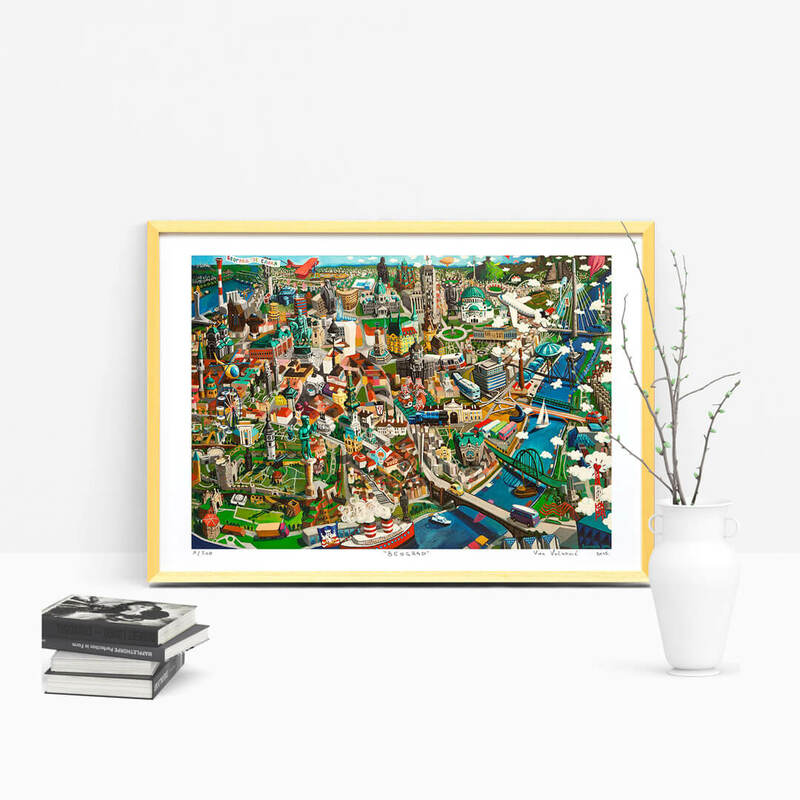 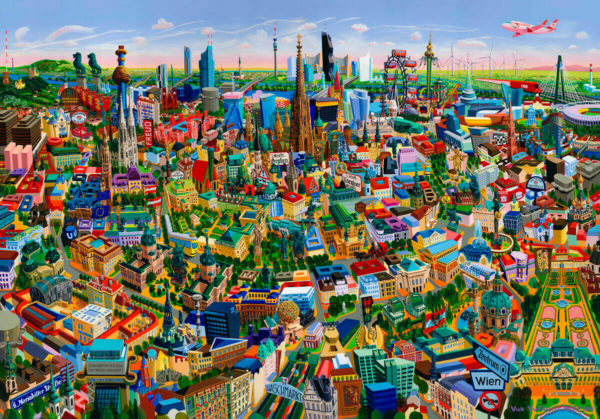 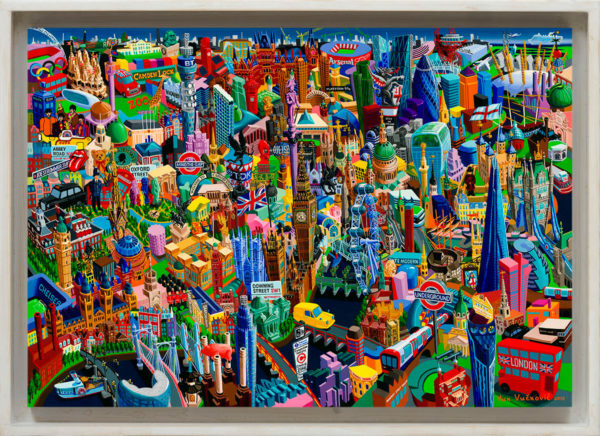 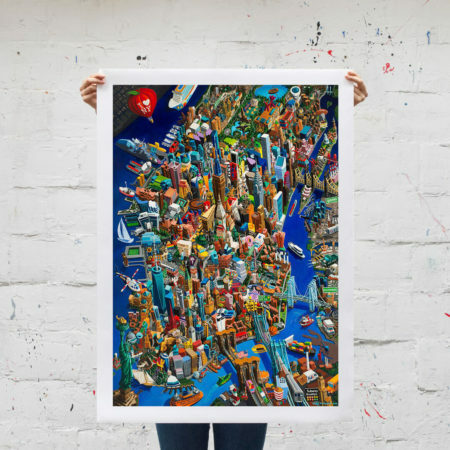 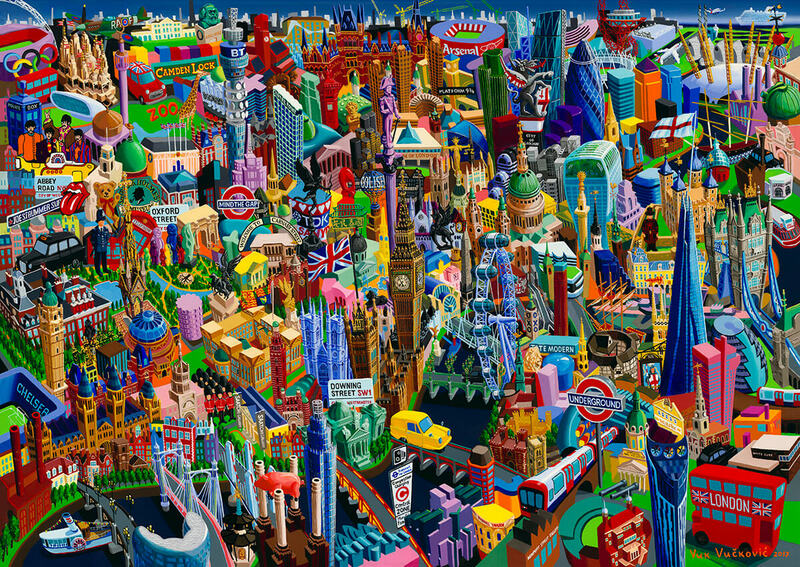 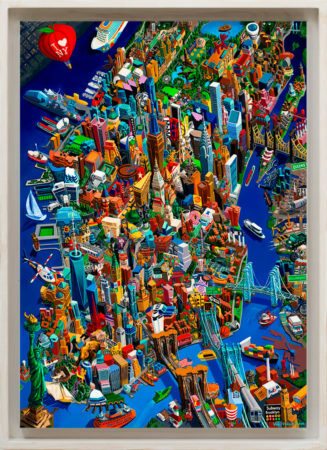 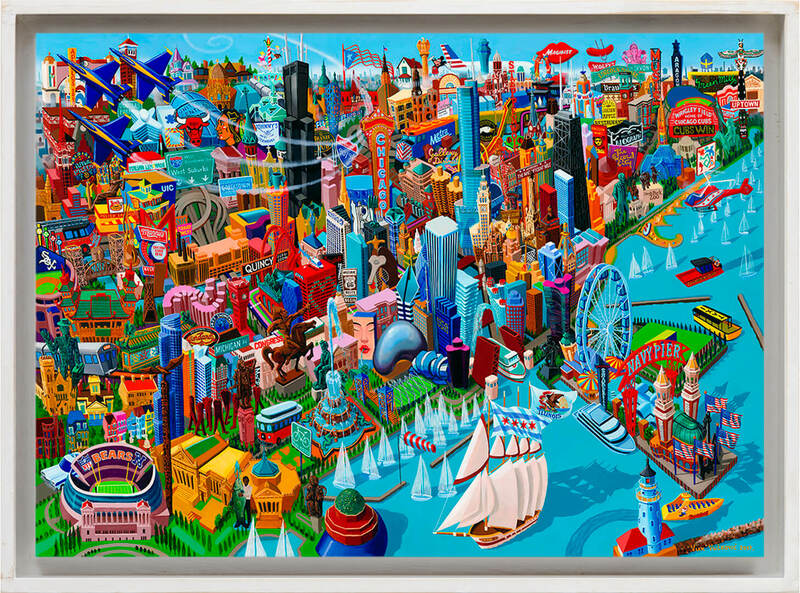 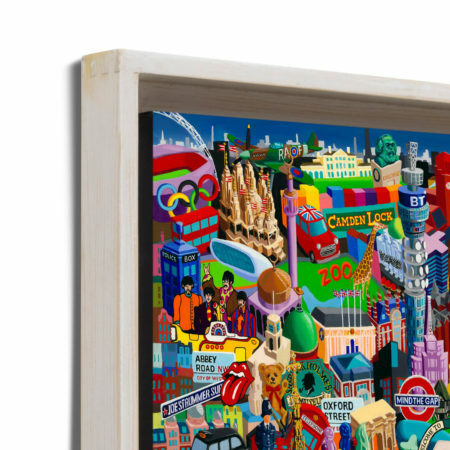 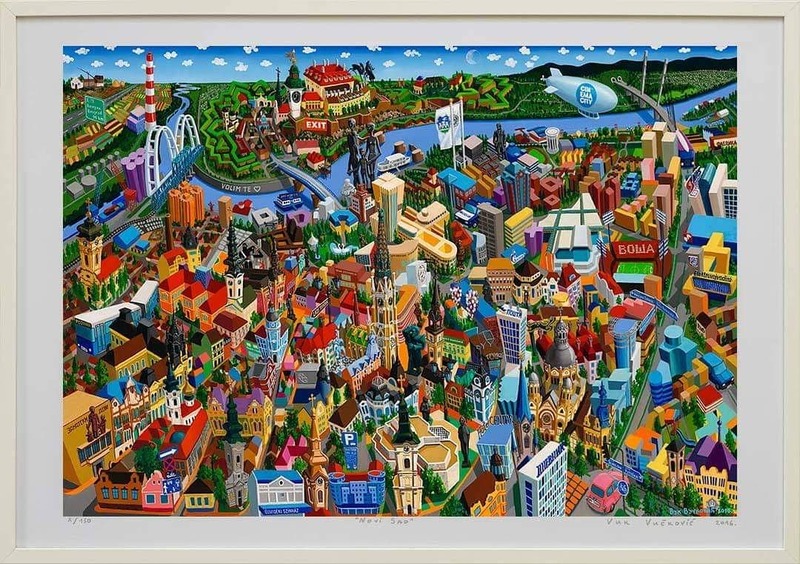 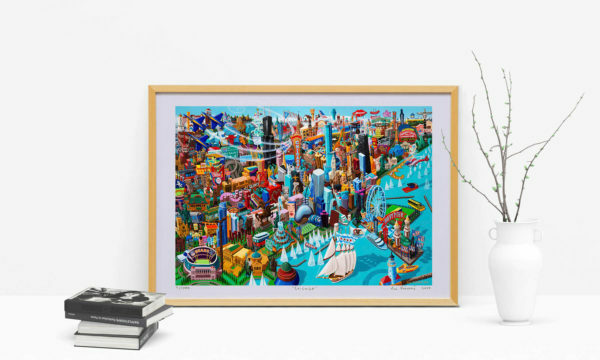 GIFT EDITION – there is a special line of graphics, special packaging and smaller formats available for those who are looking for a gift symbolizing the city. These prints are made in non-limited edition, on Canon paper in A3 format – 42 x 29.7 cm. 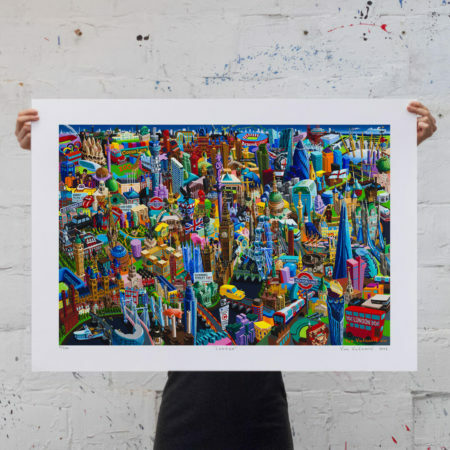 Each print has the author’s digital signature. 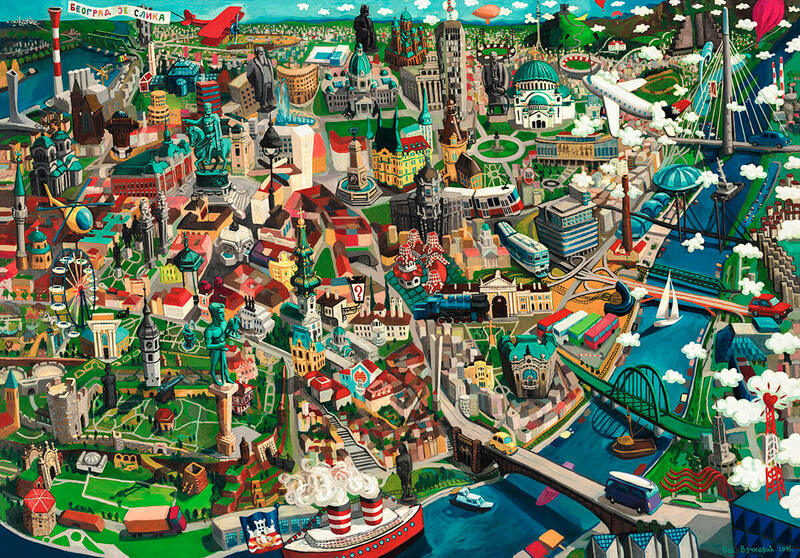 With each graphic there is a black and white version of the image with all the places marked and listed in English, which can also be used as a travel guide. Wolf Art prints are made in A and B format of ISO standard papers. 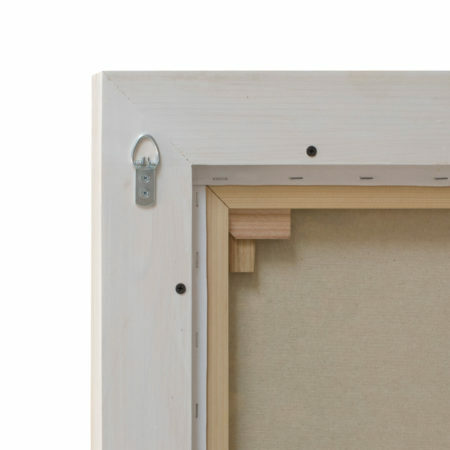 This allows easy and safe transport and the ability to choose one of the standard frames. 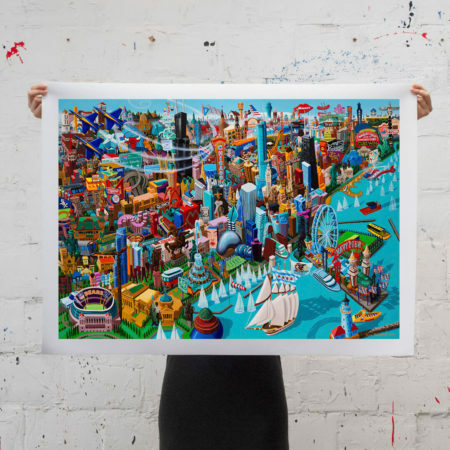 Prints on paper have border for framing. Given size refers to size of the paper. 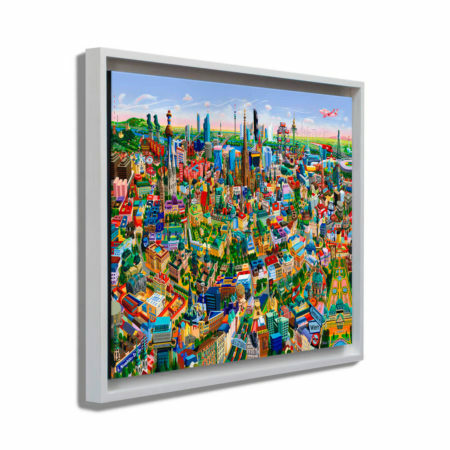 Prints on canvas have 5 cm border for framing. 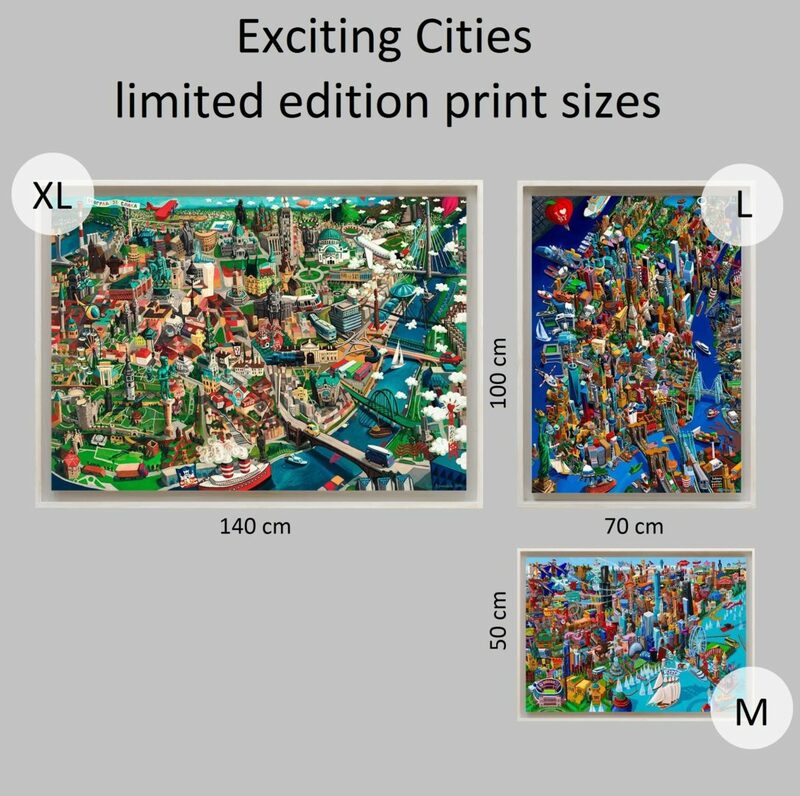 Given size refers to size of the print. Prints are framed by a professional. 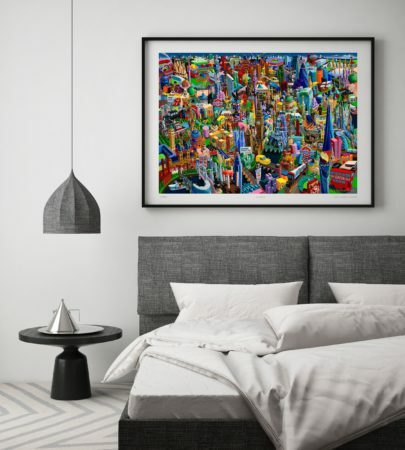 Prints on paper are framed under the glass. Prints on canvas are framed in specially designed, handmade, white frames. We ship them world wide. Framed prints are ready to be hung on the wall. Framed prints are packed in specially designed boxes to ensure safe transport. 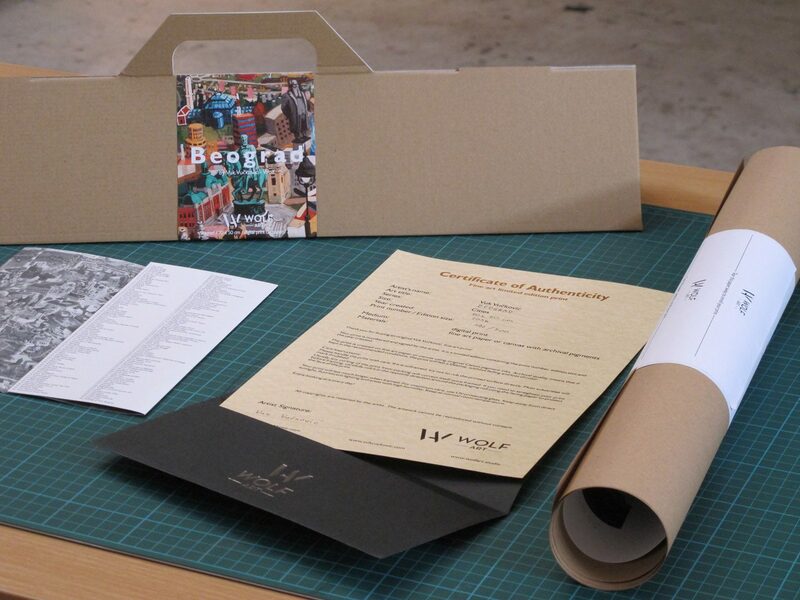 Special attention has been given to the design of the packaging for unframed prints to ensure safe transport and follow the visual identity of Wolf Art. 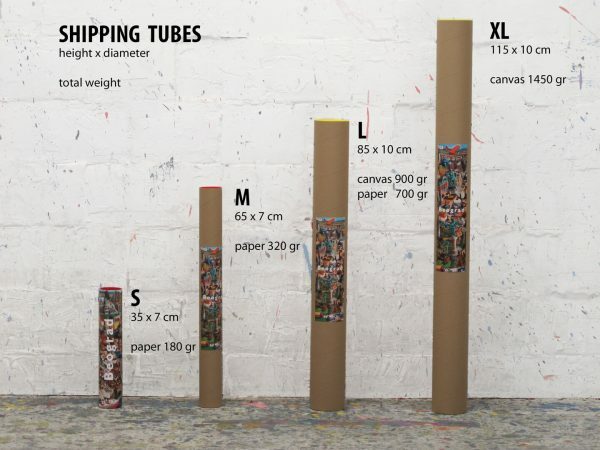 Unframed prints arrive safely and carefully wrapped, packaged in solid cardboard tubes to your address.